What is the mission of SSA? What programs does SSA offer to seniors in the City of Alexandria? SSA provides Meals on Wheels, Friendly Visitor, DOT Paratransit, AniMeals on Wheels, Groceries to Go, Silver Service Cards, and Information and Education Outreach to seniors in the City of Alexandria. SSA provides services and information to individuals aged 60 years and older residing in the City of Alexandria. Alexandria zip codes include 22301, 22302, 22304, 22305, 22311, and 22314. Senior Services of Alexandria is located in the Wells Fargo Bank building at the corner of Princess Street and N. Washington Street in Old Town Alexandria. To reach our offices, please use the Princess Street entrance. Our offices are located on the Mezzanine Level (one level up) and are accessible by stairs and elevator. How can I give back to SSA? There are many ways you can support the programs and events of Senior Services of Alexandria including individual giving, employer matching-gift programs, bequests, in-kind support, corporate and foundation giving, special events, celebratory and remembrance gifts, and volunteering. SSA accepts donations online, by mail, or in person to Senior Services of Alexandria, 700 Princess Street, Mezzanine Level, Alexandria, VA 22314. Payments can be made by credit card (VISA, MasterCard, Discover, or American Express-online only), check, money order, or via stock transfer. For more information contact Cassie Chesson, Development Director, at development@seniorservicesalex.org or (703) 836-4414, ext. 114. Am I eligible for the Meals on Wheels program? In order to be eligible for Meals on Wheels subsidized by the City of Alexandria, individuals must 1) reside in the City of Alexandria, 2) be aged 60 years or older, and 3) be considered “home-bound.” To find out if you qualify for this program, contact the City of Alexandria’s Division on Aging and Adult Services at (703) 746-5999. In order to qualify for Senior Services of Alexandria’s Direct Pay Meals on Wheels program, individuals must 1) live in the City of Alexandria and 2) be aged 60 years or older. That being said, Senior Services looks at individuals for the Direct Pay program on a case-by-case basis. 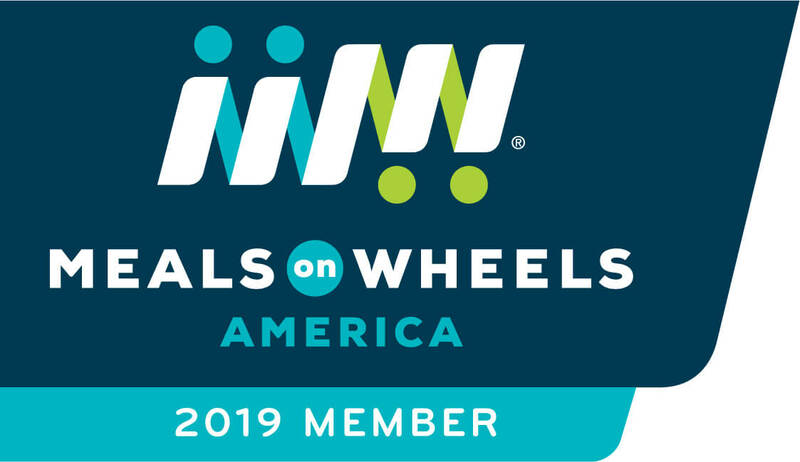 For more information about the Meals on Wheels program contact Ellyn Kirtley at (703) 836-4414, ext. 112 or mealsonwheels@seniorservicesalex.org, or click here. I/someone I know is interested/would benefit from having a Friendly Visitor. What should my next steps be? If you or someone you know is interested in having a Friendly Visitor, or you know someone who would benefit from the Friendly Visitor Program, contact Mary Giordano at (703) 836-4414, ext. 120 or friendlyvisitor@seniorservicesalex.org, or click here for more information. How can I sign up for Senior Taxi or DOT Transportation? Senior Services of Alexandria no longer provides the Senior Taxi Program. For information on the Senior Taxi Program, contact the City of Alexandria’s Division on Aging and Adult Services at (703) 756-5999, and then press option 1. To make reservations for DOT Transportation, call (703) 836-5222. For more information about the DOT program, contact Rosie Borders at (703) 836-4414, ext. 116 or transport@seniorservicesalex.org, or click here. What volunteer opportunities are available at Senior Services of Alexandria? Individuals can apply to volunteer for our Meals on Wheels program, Friendly Visitor program, Groceries to Go program, and Animeals. How do I become a volunteer for Senior Services of Alexandria? Are there any specific requirements to becoming a volunteer? Find volunteer information and applications by visiting our Volunteer Page. The only requirements for being an SSA volunteer are: 1) you must have your own means of transportation, and 2) you must consent to a criminal background check. However, there are other program-specific requirements depending on which program you would like to volunteer. No, there is no age limit for becoming an SSA volunteer.